*Hold everyday in your hand with 24HoursLeft. 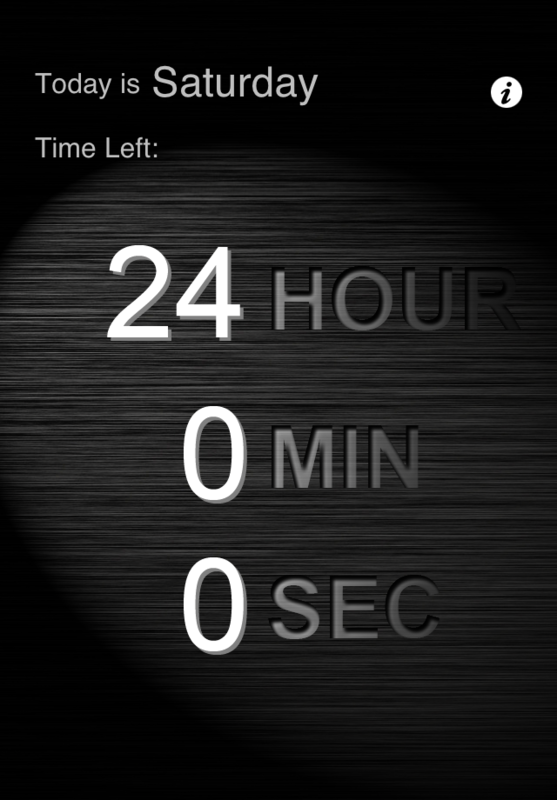 24HoursLeft will let you know how much time left for you everyday. 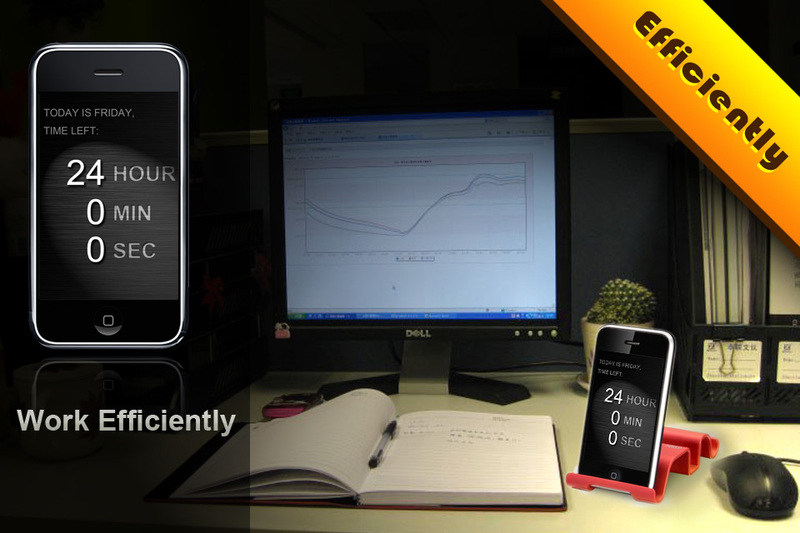 With the 24HoursLeft in hand or aside, you can work more efficient. Start to save your precious time with 24HoursLeft now.